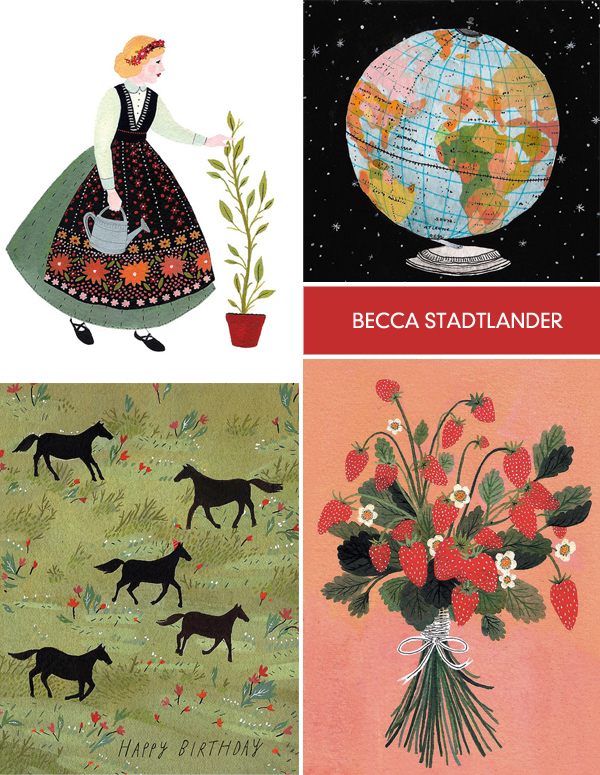 Loving the charming illustrations by Becca Stadtlander. They are delightful. You can see more on her website here and pick up some cards or prints in her shop here. Beautiful! Wow, these are lovely. I'm totally buying some of her cards!! Love her! I have a cactus print from her and i love it. it's so sweet. Thanks for posting - really pretty illustrations.. off to her website now. so lovely. SO, SO LOVELY! xo.